I’m not going to lie. As a skin scientist with a microbiology background, I am weary when it comes to skin care claims. I’m able to detect bogus cosmetic claims and poorly designed clinical studies from a thousand miles away. And frankly, I’m getting really tired of the pseudo science in the cosmetic industry. While I am able to separate fact from fiction, I understand that the general population is not so clear on whether a product will work or (once again) offer false promises. Having worked for the largest cosmetic company in the world, I am well aware that through smart marketing, you can ‘say things without saying them’. The general public is then left with the impression that a particular skin care product ‘looks like it would work and deliver on unsaid promises’. By using proper marketing angles, Health Canada (or the FDA) will leave you alone and let you advertise if you don’t make certain claims. Hey, you can even stage your ad with a petri dish, a lab flask and a pipette to give the impression that your product has science behind it. And people will fall for it. Again. And chances are high it won’t give visible results. Again. It takes a tremendous amount of time to keep your knowledge up-to-date on cosmetic products these days. But for me, it’s what gives my business (and myself) an edge amongst a plethora of competitors – knowledge, science, cutting-edge discoveries, ethics, accountability and customization. 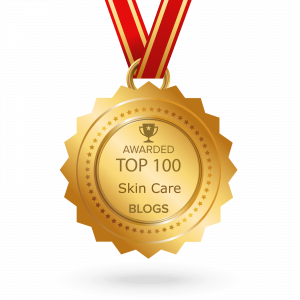 I study thousands of skin care products yearly and have been doing so for the past 15 years. Once a year, I truly fall in love with a product. Sometimes it’s because of the formulation, sometimes it’s the science behind it, but always because it consistently gives outstanding results, for myself and my clients. Sometimes my favourite products are affordable, sometimes they are more expensive. But they are always worth it. We’ve got the pictures and clients’ feedback to show for it. Ok, so I never thought I could find a product that would actually improve the overall condition of the skin on my body – but this one won’t disappoint. It’s like a whole body anti-aging cream that exfoliates, smoothes, tightens, tones – all in one formula. And (for once) there is strong science behind a body product, which is rare in the industry. Patients have reported an improvement in the look of stretch marks, cellulite, mummy tummy, bumps on the back of the arms, ingrowns on the legs and overall smoothness of the skin. It even improves the appearance of the skin on the neck (note to millenials – it even works on tech neck). The formulation is unique and very complete – just look up “forskolin” on Google, and you’ll understand why this product really delivers on its promises. ($150 for a 1- to 4- month supply, depending on area covered). What are YOUR skin care essentials? Please comment below and let’s help our community take the guesswork out of skin care! DISCLAIMER: Information on this blog is provided for informational purposes and is not meant to substitute for the advice provided by your own dermatologist or other medical professional. You should not use the information contained herein for diagnosing or treating a health problem or disease, or prescribing any medication. The views and opinions expressed on this blog are solely my own and do not necessarily reflect the views and opinions of the companies, brands and products mentioned. Are you into ‘Natural Beauty’? 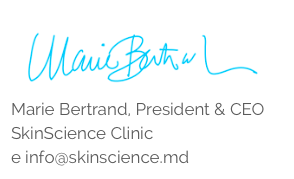 The Huffington Post interviews Skin Care Expert Marie Bertrand. As the old adage goes, beauty is more than skin deep. This is true for both the reason that there’s more to a person than what we see on the outside and because when it comes to maintaining our looks, we must take care of our body from within in order for our beauty to radiate on the outside. 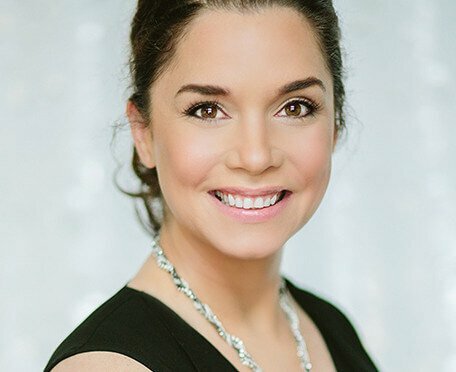 While the fashion industry continuously evolves, so to does the world of beauty and the ever-growing debate about the merits of “natural beauty.” As a consumer it is often hard to understand what that means, so I sat down with skincare expert and owner of Canadian skincare clinic SkinScience, Marie Bertrand, to gain better insight into the world of natural beauty. “Over the years, I’ve found that ‘natural beauty’ means different things to different people. Are all-natural products better for my skin? 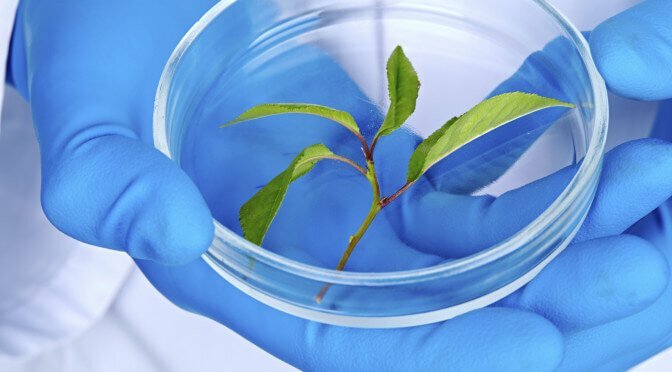 While the global concern to take better care of the environment grows, the marketing world continues to find clever ways to sell us “natural” products that somehow make people feel like they’re doing what’s best for the environment, but that is not to say it’s what’s best for your skin or for your body. Is every natural product good for your skin? Are ‘natural ingredients’ always effective? Which are better, natural or ‘pure’ ingredients? Marie feels that the ultimate in skincare products are ones that have the best of both worlds: natural ingredients, when possible, combined with active, pure ingredients from the lab. “This is what I appreciate about product lines like DermaQuest, they offer the best of both worlds: some ingredients that are naturally sourced, and others are made in a lab, balanced and formulated to ensure safe, pure and sustainable skincare products that yield effective results,” she says. If you have older or mature stretch marks, they look white or silver. This happens after blood vessels fade and when there’s no longer an inflammatory response. More mature stretch marks have less collagen and elastin compared to non-affected skin. Losing weight will NOT remove your stretch marks. Stretch marks are considered scars so they’ll still be there when you drop pounds. Stretch marks usually occur due to a few things that cause the skin to stretch: pregnancy, weight gain and weight loss. Thin people don’t get stretch marks ==> WRONG! It doesn’t matter how big or small you are—people of all sizes can have stretch marks. When people go through puberty, a stage where hormones are rapidly changing, stretch marks can form. Even if a thin person has an impossibly fast metabolism and never gains weight, hormonal imbalances causes stretch marks. Body builders who are notoriously fit and built can also sport some stretch marks. These marks are usually seen on the upper chest or shoulder areas. So what can I do to improve the look of my stretch marks? The introduction of Fractional RF (also known as FRACTORA) a few years ago has revolutionized the treatment of stretch marks. We used to be able to only work on red & purple stretch marks, while there was nothing scientifically-proven to remove the silver and white ones (apart from surgically removing them of course, which will most likely leave a scar). Research shows that 70-90% of women have stretch marks, which can impact our self esteem, especially when bikini season is around the corner. Sign up today for your complimentary Body Consultation! Only in March! The term ‘Mummy Tummy’ is used to describe changes of the skin over the post pregnancy stomach area. ‘Mummy Tummy’ represents a combination of remnant loose skin and stretch marks. During pregnancy, the rapid growth of the baby causes the skin to over stretch. Following birth, some retraction of the skin may occur however most women find that this area is looser than before. The skin may also resemble a deflated balloon or simply appear looser with or without stretch marks. How is ‘Mummy Tummy’ treated? Loose skin is generally treated with the Body RF treatment platform, however creepiness and stretch marks often combined with Fractional RF semi-ablative treatment. The experts at SkinScience can assess the skin condition and develop an individualized treatment plan to tighten and treat stretch marks. What are the immediate post treatment effects and long term results? The treatments involve heating the deeper layer of the skin. Our Body RF platform uses an advanced sensor technology that provides even and controlled heating for optimal results. Following treatment, the skin is mildly inflamed and warm, resembling a mild sunburn. Dermal heating will settle down over a few hours to 24 hours, after which the skin will have a ‘sand-like’ feel for a few days. An antibiotic cream is used to keep the area softened and moist. The skin will appear immediately tighter as collagen is contracted and the skin will continue to improve over a period of 2 to 3 months following treatment. Stretch marks, also known as striae, are pink, red, purple, or white lines on the skin caused by rapid, excessive expansion of the skin. When skin is stretched too far, the collagen-based structure within the dermis (the layer underneath the epidermis) can break or rupture. When this critical support structure for the epidermis is compromised, the skin becomes thin and stretched and scar tissue develops, leading to the long, wide, unsightly marks we know as “stretch marks”. While stretch marks do not cause discomfort or lead to any medical problems, they can cause acute embarrassment and dramatic loss of self-confidence and unfortunately, many traditional remedies such as creams and lotions are simply not effective. Unlike surgery (which can only eliminate stretch marks on the abdomen), FRACTORA™ stretch mark treatments can be used to eliminate stretch marks anywhere on the body! Am I A Candidate for the FRACTORA™ Stretch Mark Treatment? 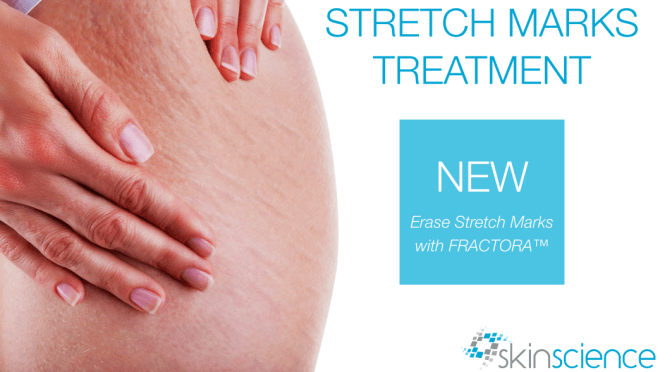 How Does FRACTORA™ Stretch Mark Treatment Work? The key to successfully improving the appearance of stretch marks lies in rebuilding existing collagen and generating new collagen deep within the dermis. This powerful semi resurfacing procedure harnesses the power of radio frequency to gently remove thin layers of skin around the stretch mark and disintegrate the scar tissue of the stretch mark itself. This process stimulates the body’s self-healing capabilities to spark the remodeling of existing collagen strands, grow new collagen, and form new, healthy layers of skin in place of the stretch mark. Side effects from FRACTORA™ stretch mark treatments are minimal and temporary, usually involving redness and tenderness in the target area for several days. Severe stretch mark removal requiring intensive treatments may require longer healing time, however. For optimal results, most patients require multiple treatment sessions, depending on the scope and severity of the stretch marks. Patients with extremely severe stretch marks will see significant reduction in the visibility of their stretch marks, but it may not be possible to eliminate these stretch marks entirely. Want to know of you are a good candidate for FRACTORA™ Stretch Mark treatment? Book your FREE stretch mark consultation today!